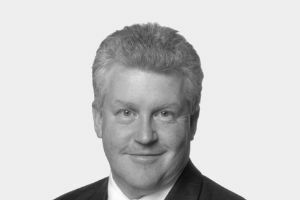 Mr Hett established and has led the Deloitte actuarial team for the last 10 years. Charles HettHett recently joined the Montoux board and will now become the product lead. With an impressive pedigree in the life insurance industry, his wide-ranging experience of financial business internationally; both as a consultant and in various insurance company roles, is an ideal addition to Montoux. Montoux’s mission, in CEO Klaas Stijnen’s words, is to “bring growth back to life insurance.” Currently, this means improving the way life insurers price their products with intelligent modelling tools. “Montoux makes a wide range of process improvements possible, but it really boils down to growing sales and value,” confirms Hett. Heavy weight backing is nothing new to Montoux. The tech firm boasts the guidance of a top class board and an impressive stable of investors. “We’ve been extremely grateful to find people with such a wealth of knowledge and experience who not only get what we’re trying to do, but back us to get there,” says Stijnen. Along with Stijnen and Hett, Montoux’s board of directors currently includes Serge van Dam and Sam Knowles, who between them command a wealth of success in the life insurance and fintech realm.